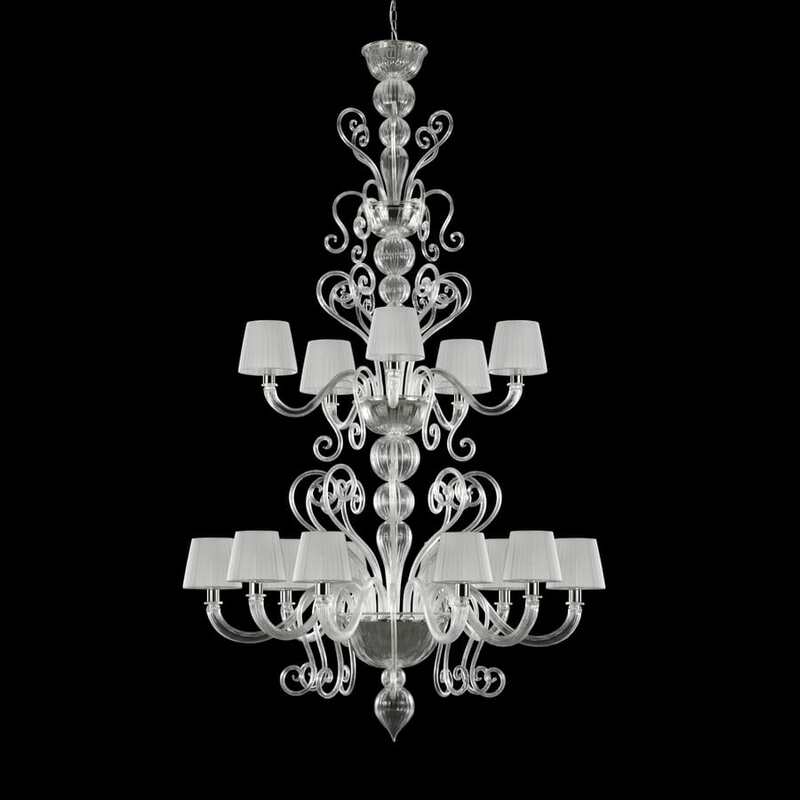 The venetian chandelier Gatsby is the perfect combination of elegant and modern elements. The use of colour, featuring strong tones; the surface with straight ribs, the spherical elements in the central arm, the lampshades in pliss� fabric and the pastoral elements � all this contributes in creating a dynamic composition. 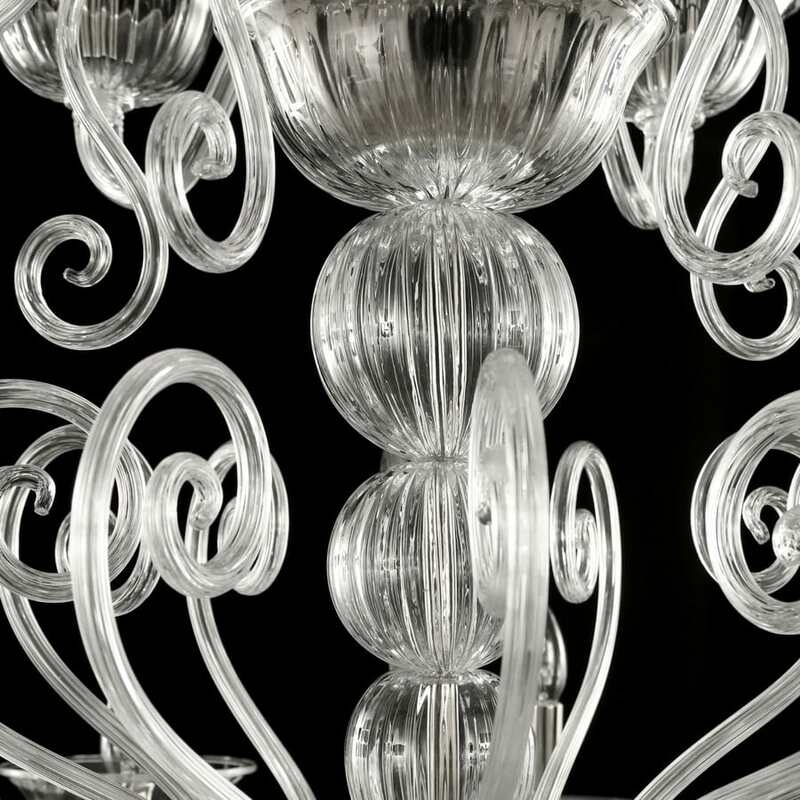 This is a classic venetian chandelier collection, but it doesn�t renounce to a strong personality.